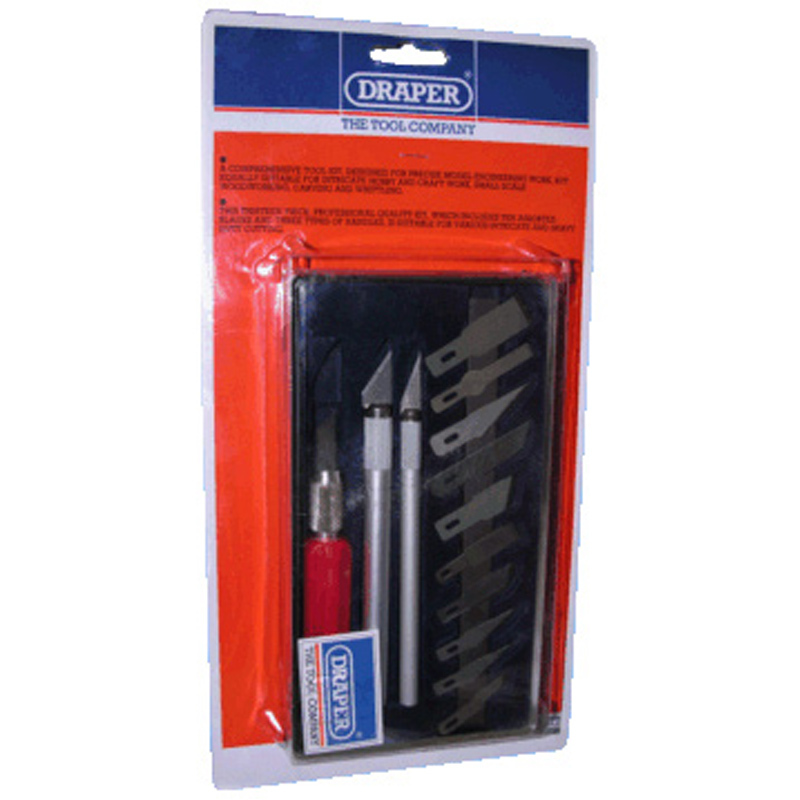 A comprehensive toolkit, designed for precise model engineering work, but equally suitable for intricate hobby and craft work, small scale woodworking, carving and whittling. 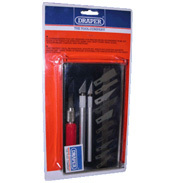 This thirteen piece professional quality kit, includes ten assorted blades and three types of handles, for various intricate and heavy duty cutting. 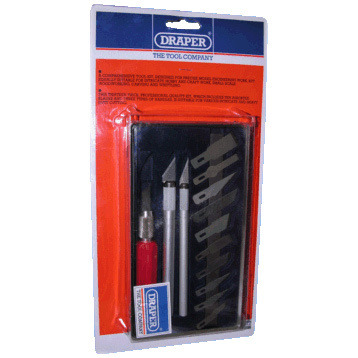 Set contains: Small Pencil handle, large pencil handle, heavy duty handle and 10 assorted blades. This set comes complete in a handy plastic storage case. The blades are held in the handles by a clamp type chuck, which is tightened by turning the knurled collar. Produced by Draper the Tool Company.